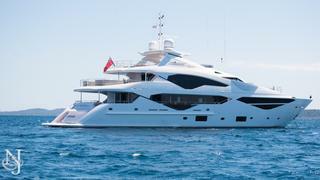 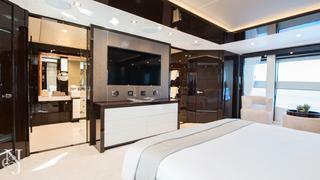 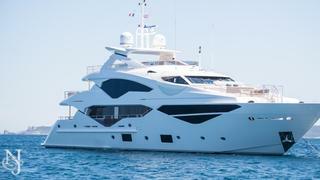 The 131-foot (40.05m) tri-deck luxury motor yacht E-MOTION is a charter guest’s dream yacht. 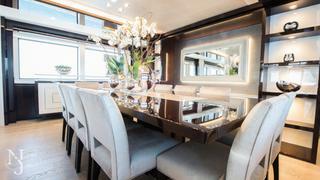 From her incredibly comfortable interior spaces to her excellent alfresco areas ideally suited for outdoor living, this sunseeker motor yacht is truly the epitome of luxury at sea. 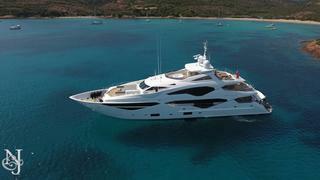 Built in 2016, E-MOTION is a top-of-the-line luxury yacht styled inside and out by Sunseeker International team. 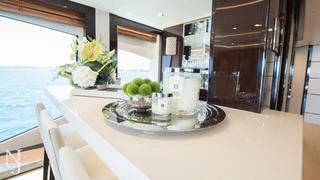 She was designed to bring the outside in. 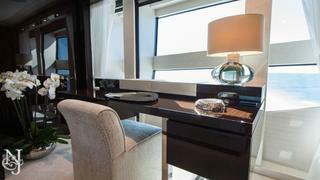 Her triangular windows not only create a unique aesthetic, but they also allow ample natural light as well as incredible views. 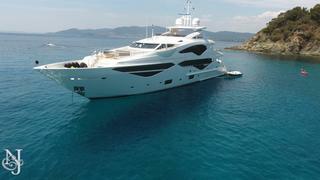 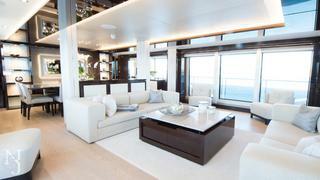 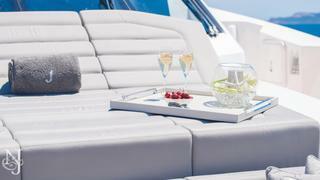 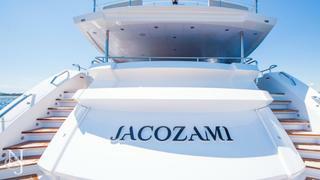 This timeless yacht offers beautiful furnishings, sumptuous seating and an elegant atmosphere. 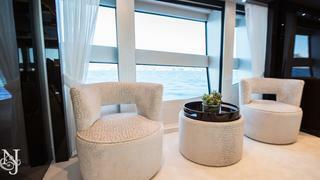 On the main deck, guests will find three distinct “zones.” A casual lounge is the perfect place to unwind after a day at sea, the formal dining room is well suited for those special evenings, enjoying five-star meals and service and the master suite, which spans the full 8.09-meter beam. 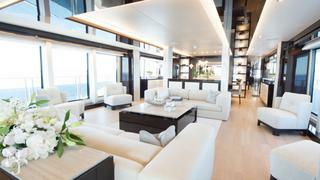 This space evokes complete grandeur. 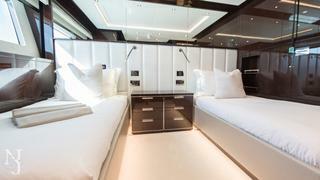 The volume of the suite alone is impressive, but the amenities, such as the king-size bed and his-and-hers en-suite bathroom, take it to the next level. 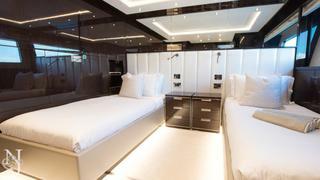 Below deck, the yacht’s further four cabins, which include two VIPs and two convertible twins, provide luxurious accommodation for guests. 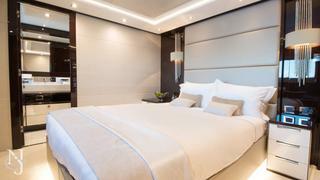 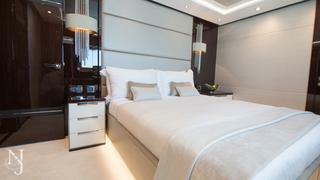 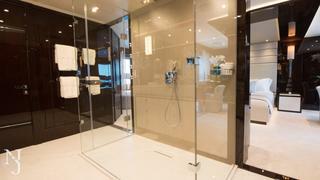 These en-suite staterooms are not only comfortable, but also well styled and designed for maximum space. 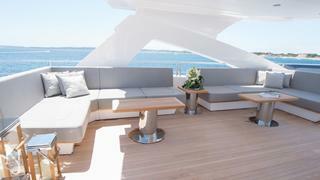 Guests also will relish E-MOTION's skylounge located on the upper deck is a perfect spot for entertaining with its full bar. 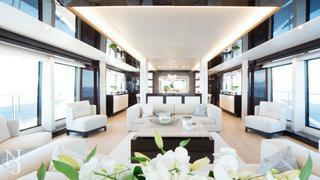 The yacht’s additional amenities include a full audio sound system throughout, full entertainment suites, including Sky TV, DVD collections and Apple TV, in both lounges and in all staterooms and audio systems with iPad control on all decks. 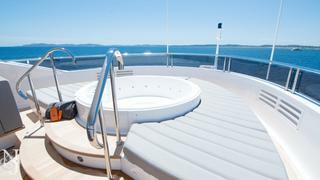 E-MOTION's sundeck is home to a Jacuzzi and sunloungers — it is the perfect spot to watch the world go by. 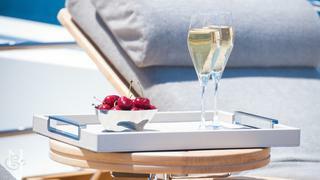 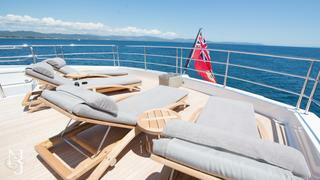 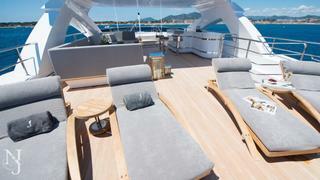 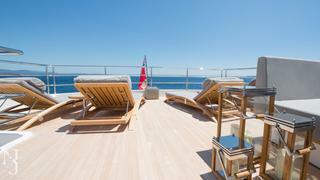 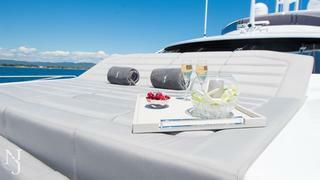 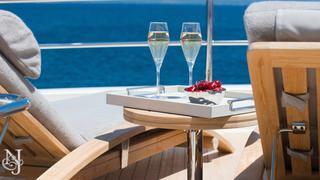 An alfresco seating area is found on the foredeck. 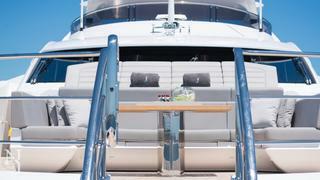 The yacht’s extended bathing platform allows for the easy launch of water toys and tenders.